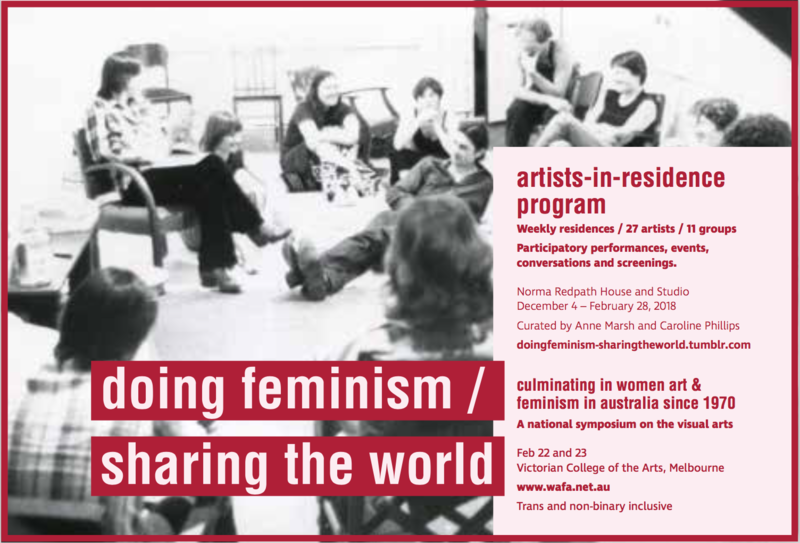 The Art/Mums Collective has been invited to participate in Anne Marsh‘s residency program as part of Doing Feminism/Sharing the World. 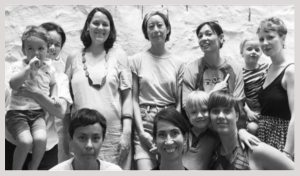 Hanna Tai, Gabrielle de Vietri, Clare Rae, Claudia Phares, Eugenia Lim, Jessie Scott, Tai Snaith and myself will live at Norma Redpath House in Parkville for the week from February 5 – 11. We have a jammed packed public program including a workshop and discussion with Kate Beynon. For more information check out the Doing Feminism/Sharing the World page.